Globetrouper offers special people tour packages so that they can enjoy life like the rest breaking all the barriers. The physical limitations of the tour participants are kept in mind while designing the tour so that they can fully enjoy. The world is beautiful and so are the people living in it and for all of them, we have best in class tour packages. The holidays that are really comfortable and easily accessible are designed by the expert travel designers in Jaipur, India. At Globetrouper, care is taken to see that every member of the group is treated well and offered all essentials he/she requires. For instance, tour is designed as per the requirements of the specially abled and special kids or elders like wheelchair is offered to those who find it hard to walk, also care is taken for those who walk slow and so specially able people, their friends and family are given the comfort and convenience that they look for. Several itineraries including for small group, solo traveler, and large groups are designed for those who want to travel and explore India without any restrictions. 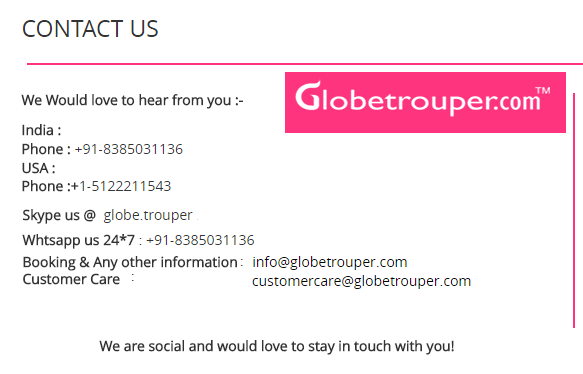 This makes Globetrouper, the only travel designer in India for specially able people to enjoy their holidays to the fullest. Plan your trip with us and we ensure that you enjoy the best moments of your life.